The likes of LendingClub, On Deck and SoFi want to put recent problems behind them. But their loan books, and earnings, are small. The banks they once dared to threaten have been catching up. Even Goldman is nipping at their heels. A bout of M&A could do them credit. 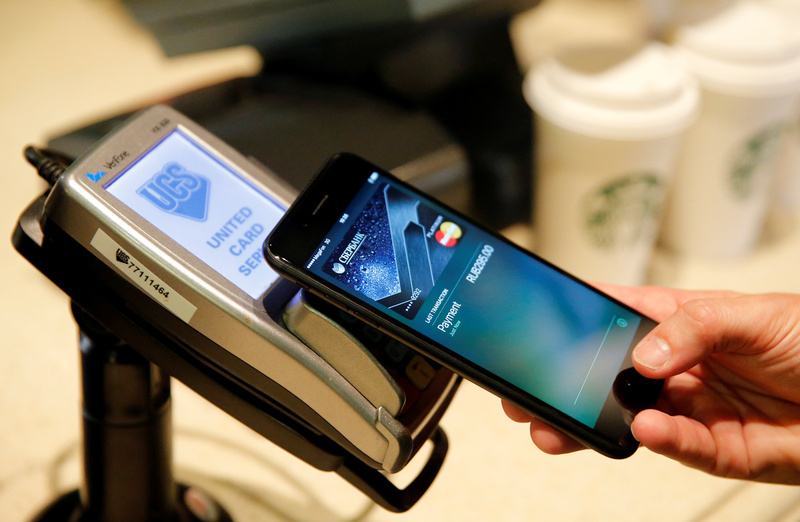 A man uses an iPhone 7 smartphone to demonstrate the mobile payment service Apple Pay at a cafe in Moscow, Russia, October 3, 2016. Picture taken October 3, 2016. The LendIt Fintech USA 2018 conference is being held in San Francisco between April 9 and 11. Speakers include the chief executives of the three publicly traded fintech lenders - LendingClub’s Scott Sanborn, On Deck Capital’s Noah Breslow and Ken Rees of Elevate. Social Finance’s new CEO, Anthony Noto, also will present at the event as will Omer Ismail, chief operating officer of Goldman Sachs’ Marcus retail banking and lending platform. The organizers are expecting more than 5,000 people to attend, including more than 1,000 investors and at least 600 bankers.